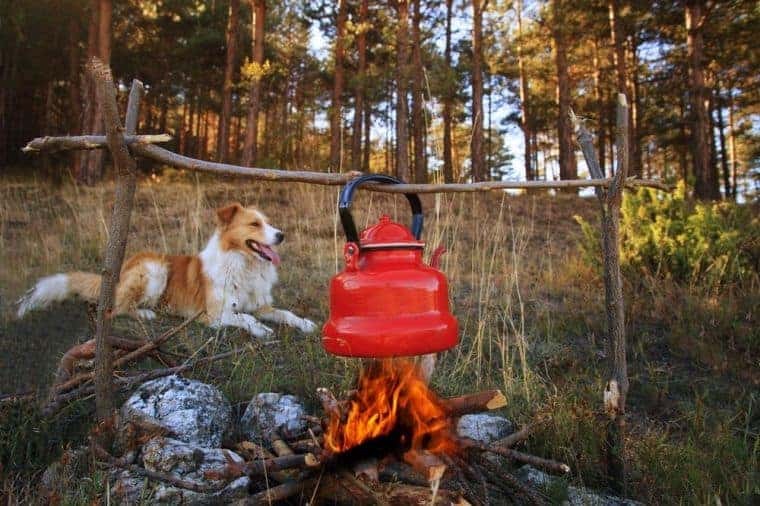 Camping with your pet dog can be an enjoyable and rewarding bonding experience. Dogs are curious and excited about being outdoors and love to be included in family activities. However, camping with dogs requires extra planning. You are responsible for your dog’s health and safety. There are also extra rules to consider regarding dogs and where they are allowed to go. You must be mindful of fellow campers who don’t necessarily love dogs as much as you. The key to successfully camping with dogs is preparation. 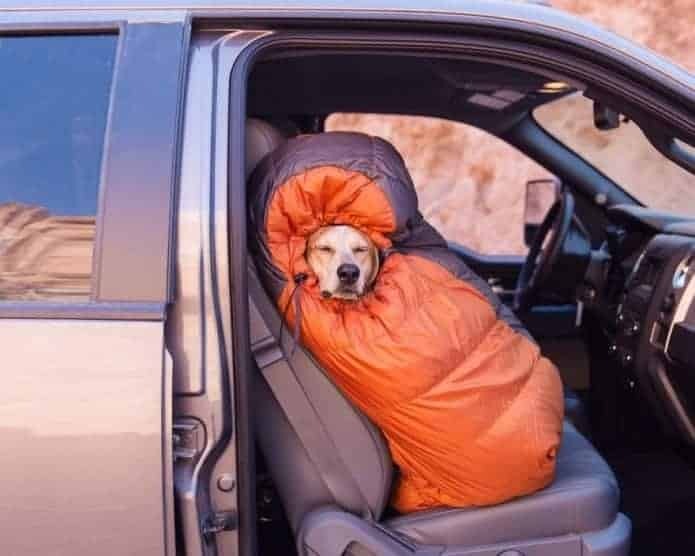 Not all dogs are suited for camping. Some won’t enjoy it, some will make it a less enjoyable experience for you. 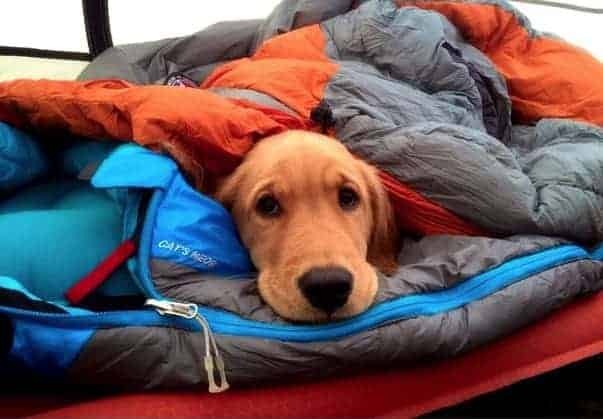 When camping, it is essential your dog is under control at all times. This is for both the dog’s safety and for respect of fellow campers. Not everyone around you will be pet friendly so make sure your dog is on its best behaviour. Your dog needs to be able to follow basic commands such as come, stop, laydown and drop that thing in your mouth. This will be necessary even if your dog is on a leash at all times. If your dog can be aggressive, don’t take it camping. Being in a new environment could trigger your dog and cause issues. Dogs that bark a lot should also stay at home. Sound can carry a long way in nature and you don’t want to be bothering everyone in your camping area. You can train dogs not to bark although this takes time and patience. Don’t try to start training it on the camping trip. Train well in advance. Some dog breeds are less suited to camping. 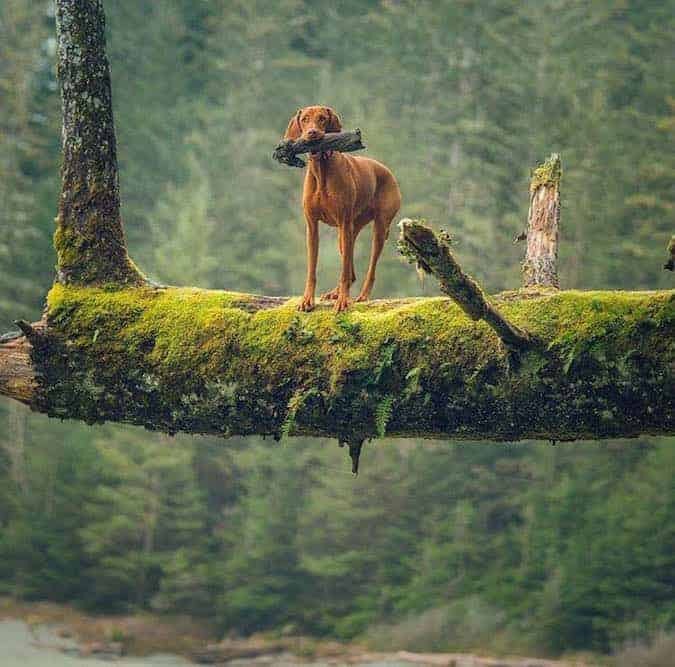 Smaller breeds tend to tire easier and won’t handle strenuous activities, such as hikes. If you have a breed with a long coat, trim it beforehand to avoid its fur getting matted. Also consider your dog’s individual personality. Do you have a border collie that will try herd up every wild animal it sees? Is your poodle very highly strung? Think about how your dog will handle situations that may arise. If you don’t think your dog will be suited to handle camping or you doubt your ability to have control at all times, leave it at home. Do your research to find a pet friendly camping spot. There are endless lists online of local dog friendly campsites. If in doubt, call up the property’s management and ask their policy on pets. Rules can vary in different places. Some camp grounds will only allow dogs at certain times of year or have weight/size limits. Dogs are never allowed in national parks or conservation areas, excluding assistance dogs such as Guide Dogs. If you ignore this rule, you can be asked to leave or be fined. This is because dogs can be a threat to native wildlife. Dogs’ barking and scent left behind can scare native wildlife away from their homes. Dog faeces can carry disease as well as add nutrients to the soil that increase the spread of weeds. The most important thing to check before you go is that your camping area is pet friendly and not a national park. See above. Once you have decided on a location, double check their requirements. Does your dog have to be on a leash at all times? This can be necessary to protect both native wildlife as well as your dog, keeping it under control at all times. Some camp grounds may require you to complete an application form for your dog. They may also ask you to pay a pet bond, in case any issues arise. Check with local council and camp ground management that no fox baits are set in nearby bush areas. You are responsible for your dog’s health and taking it into an area where it is at risk of consuming poison must be avoided. Food in an airtight container and water in a cooler. Bring extra as your dog will be more active and may require more than usual. Bring food and water bowls. A leash (an extendable leash is best), a tether and a harness. Bags to pick up your dog’s poo. A bed to rest on during the day, when you are sitting around the campsite. Somerzby trampoline bed’s off-the-ground design increases air flow and keeps your dog comfortable. Somewhere to sleep at night. If your dog won’t be in your tent with you, consider a Somerzby dog crates with a waterproof cover. They come in many sizes and are quick and easy to fold down for storage. Remember to crate train your dog before you leave home. Something to keep your dog warm at night, such as a jacket, blanket or doggy sleeping bag. Entertainment for your dog, such as toys or long-lasting treats. 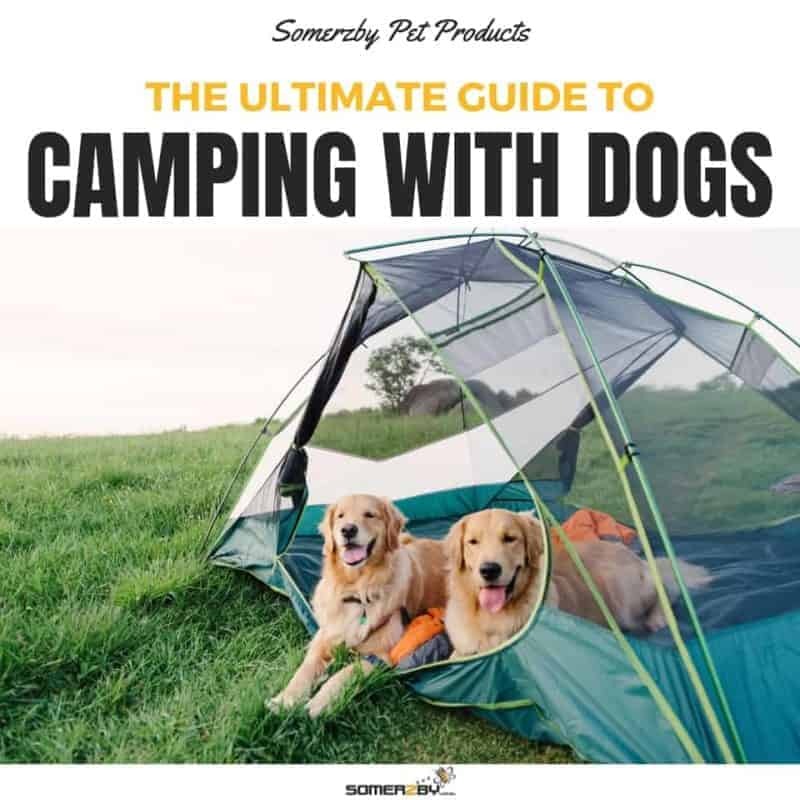 Somerzby collapsible playpens are perfect for providing a safe space for your dog to play on the camp ground without roaming free or being tethered. Dog first aid supplies including mosquito repellent, ear cleaner, paw balm, dog sunscreen, saline dog eye wash and dog pain relivers (prescribed by a veterinarian). A harness or restraint for the car. 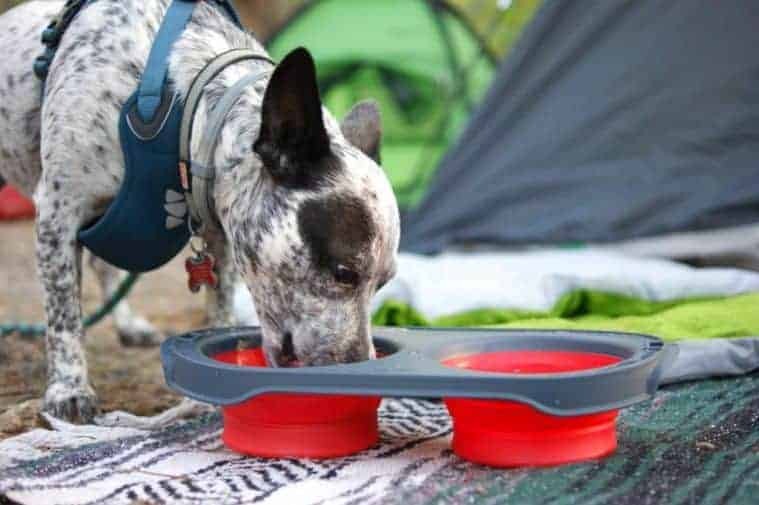 Keep your dog close to you and your campsite. Don’t let it wander too far away or be unattended. It could not only lead to your dog behaving destructively but puts your dog at risk. Think of others and clean up after your dog. It doesn’t matter that you are outside in nature, there are still other campers and native wildlife that will have issues with being exposed to dog poo. Pick it up with a plastic bag and dispose of it correctly, or bury it if you are very far out. Make sure your dog is microchipped and is wearing a name tag on its collar. Make sure your contact information for both is current. Reflective collars or leashes will help your dog to be seen at night. Always make sure your dog has access to water. If the temperature is extreme, keep an eye on your dog’s wellbeing. Before you go camping, make sure your dog is vaccinated and has been treated for ticks and fleas (at least 24 hours before you leave). Learn basic dog first aid including how to remove a tick safely. Know the contact information for the nearest vet and 24hour vet to your camp grounds. Consider getting pet insurance, just in case. 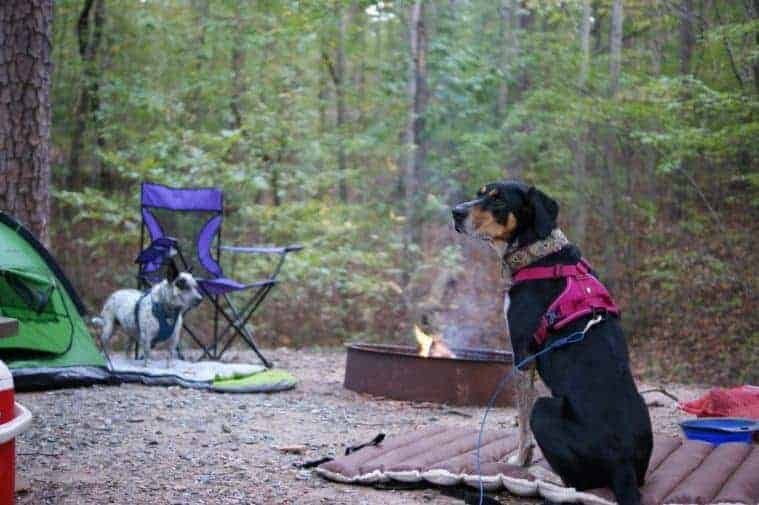 This entry was posted in Dogs and tagged camping with dogs, dog friendly camping.